A new library was being planned for the west side of St. Johns County where substantial growth was foreseen. 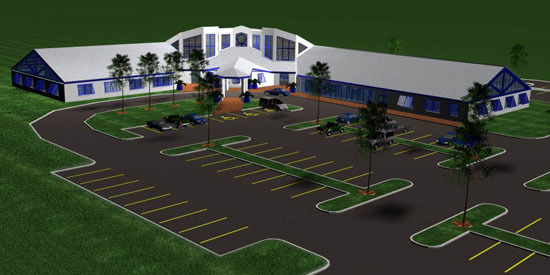 Not only did our office provide a master plan for this proposed facility, we gave a presentation of what the building would look like in the form of renderings of a digital model, and animations around and through the model. 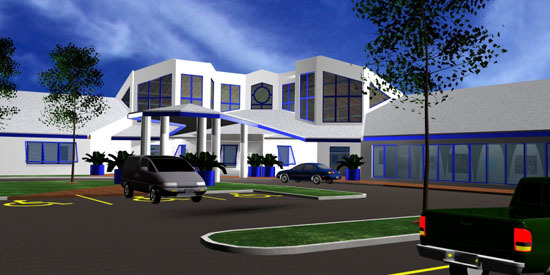 << Click here to view an animation around exterior of digital model.